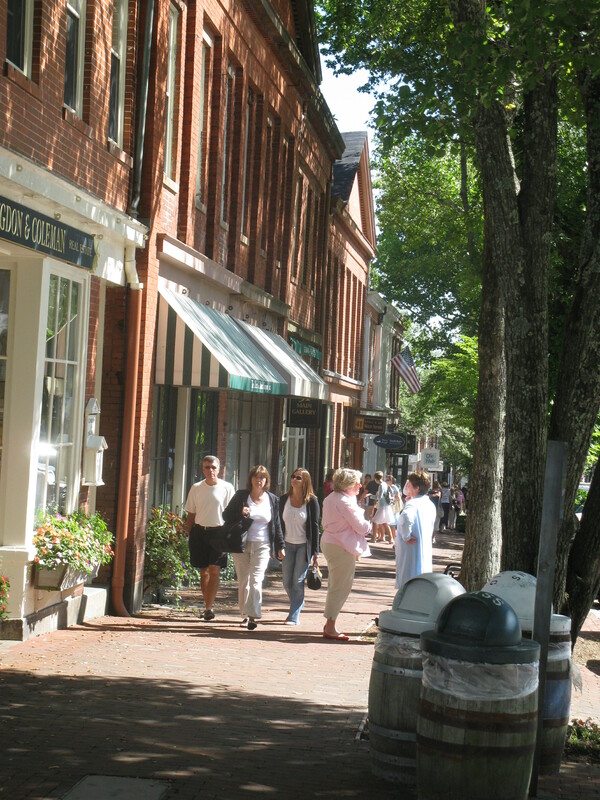 Main Street is economic development in the context of historic resources. That’s the definition of the Main Street program we at PlaceEconomics have used for 35 years. Main Street is a program of economic development, and design, promotion, and organization are not ends in themselves but rather the means to achieve the economic revitalization (or economic restructuring or economic vitality) of the downtown or neighborhood commercial district. When Main Street began it was with the recognition that historic buildings had to have a function – usually an economically productive function – if they were to attract the investment necessary to survive for future generations. That perspective was also held by a majority of the respondents to PresPoll #3. The first question was, “Which of the Four Points do you think is most important for a successful Main Street program”. Nearly 60% chose, “Economic Vitality”. (Economic Vitality is the new phrase for Economic Restructuring and is part of the Main Street Refresh initiative). Fewer than 10% thought that Promotion was the most important. What Point does Main Street do best? But when asked, “Which of the 4 Points does your local Main Street program do best, the answers were precisely opposite. The Point deemed the most important (Economic Vitality) was ranked the lowest in terms of what Main Street does best, while the Point seen as least important (Promotions) was highest of the 4. What does Main Street do least well? When National Main Street Center CEO Patrice Frey first took on the job and traveled the country visiting Main Street communities she noticed that while many of them had great promotional events, far fewer were actively and aggressively involved in economic development activities. This observation – confirmed by State Coordinators, outside consultants, and others, greatly affected the thinking on Main Street Refresh. As a result the NMSC has undertaken efforts both to improve the capacity of local Main Street programs to deal with economic development but also by adding research, funds, and expertise to assist them in doing so. These PresPoll findings confirm the importance of fine tuning Main Street at the local level so what is considered most important is also where the greatest successes are found. Others, however, responded with answers that we would have thought clearly fit within the 4 points. Examples of “5th point should be” were: “market analysis for business recruitment”, “small business start-up” and “support local businesses” that seem to us to fit squarely in the Economic Vitality category. In what are traditionally thought of as the responsibilities of the Organization committee were suggestions like, “Community Engagement, Dedicated Funding, and Government Relations”. Many Design committees would think that “Walkability”, “Landscape Design” and “Placemaking” are already areas that they are addressing. The Promotions functions seem well understood, as there were no “5th Point” suggestions that seemed to already being done under that banner. This might also be a function of respondents recognizing the success of Promotions but less awareness of successes or even efforts in the other three areas. So what is happening here? Either the survey respondents don’t understand Main Street, which is unlikely as only 10 percent said “I am not familiar with a local Main Street program.” OR Main Street programs are either not tackling the issues mentioned, or are not making it sufficiently clear that those tasks are, in fact being done. While we are firmly in the “the 4 Points are both sufficient and comprehensive” camp, there were suggestions that need a bit of thought, and maybe cross-point collaboration to address them. These included, “Education”, “Innovation”, “Public Planning Process”, and “Social Justice”. Also frequently mentioned was “Sustainability” that all Four Points should likely consider. Finally, and a bit of a surprise, was that “Historic Preservation” was identified as a desirable 5th Point. As noted above, we’ve always thought of the basic definition of the Main Street program as “Economic development in the context of historic resources.” The fact that some respondents thought that should be an added dimension of Main Street suggests that everyone isn’t getting that message.